Tera. Once an MMO with sub fee, today it has been around for awhile as a F2P. How does it fare? Tera’s content is entirely free and at first glance there isn’t much Pay2Win to be found. This feeling lasts until you find out about the existence of Tera Club membership in combination with endgame and the immense grind associated with it. To what extent is Tera free to play then? To be precise, it is f2p to the extent you feel you want to grind for stuff. The Club membership will easily cut this time in half with daily reputation, gold and XP bonuses, a free means of teleportation and faster mount. Other things in the store are mostly cosmetic, consumable and temporary bonuses. Tera actually does very well keeping the P2W out, and making the cash shop a shortcut to ‘buy time’. So far, all seems well. The best part of Tera comes to light during combat. Tera’s combat mechanics are interesting, largely skill-based, fast paced and require true aiming and dodging. Especially melee classes are extremely fun to play, while casters feel somewhat slow and sluggish due to cast times and animations. Good players can be separated from the bad by watching their rotations and how they act and move around, which is a great thing. Unfortunately, this mostly shows itself in PvE, as the PvP of Tera is grossly unbalanced and bland because there is no form of matchmaking available; in PvP this results in unbalanced teams where several players possess gear that outclasses everything else, making winning and losing very much the luck of the draw. In PvE, it becomes clear from the first hour playing that you are dealing with a Korean style MMO. Lots of grind, uninteresting narrative, and lots of quests that involve going from A to B and killing X monsters. The good combat mechanics make the grind bearable but levelling is incredibly repetitive. PvE endgame involves dungeons, which is where the nice loot can be found, but there is also a daily event that potentially drops much more loot than can be gained from dungeon runs. There are several tiered sets of gear and weapons, and only by doing the most difficult dungeon can the best ones be obtained. All content before this final dungeon however, is surprisingly easy and not really worth doing as the daily loot event gives better stuff. A missed chance, because this basically means that endgame Tera consists of two or three dungeon runs and a daily event, plus whatever else you would choose to waste time on (because there is no useful reward to it). Tera’s community is one typical of MMO’s, not surprisingly harsh or surprisingly friendly. There are many established guilds, but the transition to F2P and the changes it has brought, are gradually but surely destroying the community. One major flaw in the game is that essential items to upgrade best-in-slot gear pieces have been phased out of the normal economy and are actually now only scarcely available. This is where Tera has gone horribly wrong. 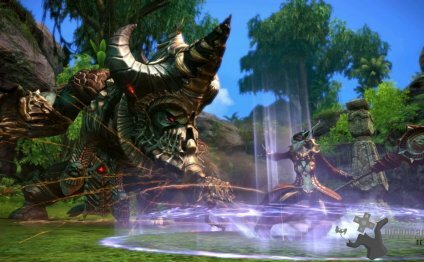 EnMasse, the publisher of Tera in the U.S., is doing a far better job at managing the game’s economy than its European counterpart (GameForge). Customer support from Gameforge is horrible at best, and after playing for a year I can safely say the situation will not ever change. Gameforge is in fact the largest issue Tera EU has, as it is a company with no interest whatsoever in what the community thinks, wants and needs. In the past year, many decisions that have proven detrimental to the game have been pushed through and the effects are still felt to this day. For example, if you are not sinking all of your time (and cash!) into this game, do not ever expect to get to the highest gear tiers. And for a game like Tera with limited end game content, this is deadly. Conclusion: Tera is a great pick up to experience and play a few classes, as it has a refreshing take on combat, fun, varied classes and smooth gameplay. Other than that, Tera is an MMO lacking in many aspects for which almost all credit goes to the publisher Gameforge for crippling the endgame economy. With the latest content update (which adds a whole new gear tier), things may change, but given the publishers stance on things in the past, I have little hope. The game world is full of great potential places to explore and grind, but Gameforge has stripped the loot tables to push essential stuff to paid alternatives and most places you visit are a time sink and nothing else. One big piece of advice would be, if you play, don’t sink too much money in it too early, because there is a fair chance you’ll find it was not worth it.